Once a brilliant scientist, Griffin has been gradually consumed by his research. When he finally achieves his goal-becoming completely invisible-the final result is his departure from humanity. He feels no remorse in using his invisibility to gratify his increasing desires. As he gradually loses his mind, it is hard to determine if it is a result of his chemical concoction or a simple continuation of his moral decline. At a time when science fiction was depicting what wonders the future would bring, H. G. Wells was one of the first writers to explore the dark side of science and to portray how easily mortal man can be corrupted when tempted by seemingly unlimited power. 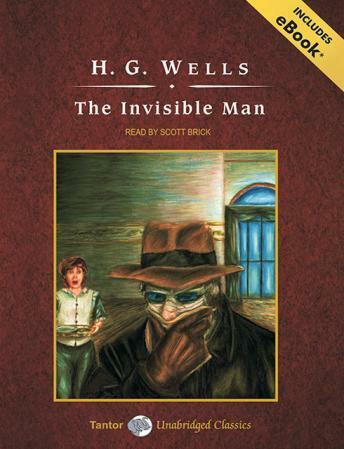 First published in 1897, The Invisible Man helped establish Wells as one of the first and best writers of science fiction. Notable for its sheer invention, suspense, and psychological nuance, The Invisible Man continues to enthrall science fiction fans today.